Microsoft on Monday launched its Windows Azure cloud computing platform as a paid service, but smaller companies are unlikely to be among its first customers. That's because Azure doesn't currently include a pricing option that makes sense for smaller applications. On Microsoft's Windows Azure forum, developers have been clamoring for a small business- focused Azure subscription option that would lower the fixed costs involved. Another popular suggestion is for Microsoft to offer developers a limited, free Azure option to give them more time to get up to speed on the platform. Jennings, who's been asking Microsoft to consider this for months, says the move would make Microsoft more competitive with Google App Engine, which currently includes a limited free option for testers. But while this would help Microsoft get more developers onto Azure, it wouldn't necessarily equate to more paying customers and revenue, he notes. 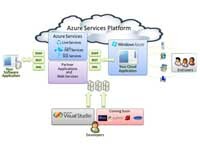 Microsoft is offering an Azure promotion for customers that are willing to sign up for a six month subscription. For $59.95 per month, developers can get 750 hours of Azure compute time, 10 GB of storage, and one million storage transactions, along with 7 GB of inbound data transfers and 14 GB of outbound data. From a technology standpoint, Microsoft is showing that it's able to anticipate key areas of need for customers. Now it's time for the marketplace to decide whether the Azure pricing model makes sense. ChannelWeb has contributed to the report.